ALL PROCEEDS WILL BE DONATED TO THE PEDIATRIC AND YOUNG ADULT CARE AT MEMORIAL SLOAN KETTERING CANCER CENTER TO HELP WITH UNFORESEEN EXPENSES RELATED TO CHILD ILLNESSES. Joey’s Fund is an NJ-based 501(c)3 Charitable Organization dedicated to helping families with kids that have excessive medical expenses. Our assistance includes helping to pay utility bills, various living costs, direct medical costs, and other necessities that arise when kids get sick. It is in his son Joey’s memory, that our Founder Anthony DeCarlo proudly operates this Charity. 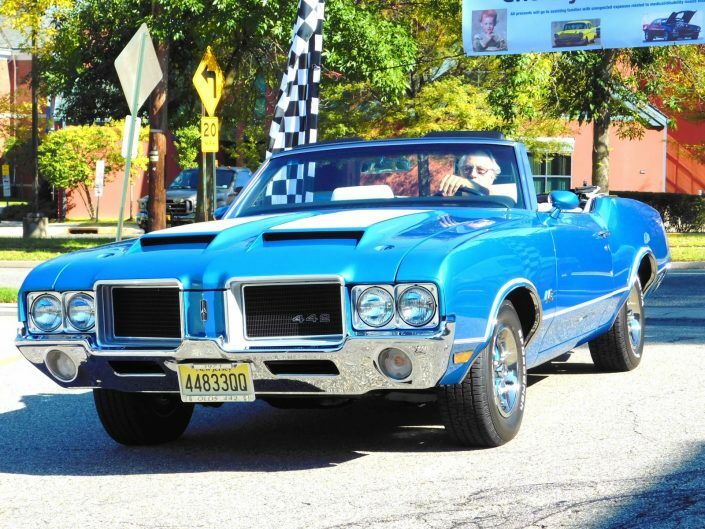 We successfully raised over $22,000 for St. Joseph’s Children’s Hospital at our 2nd Annual Car Show. Joey’s Fund is dedicated to easing the challenges parents face when caring for a child suffering from life-threatening illness. While insurance covers most medical expenses, many other unforeseen costs are not covered. These expenses include exorbitant insurance co-pays, prescription drug fees, lost wages, gas, tolls, parking, food and many other daily expenses. We have experienced the struggle and stress of this first hand and it is our turn to pay it forward. In an effort to provide relief to families currently living through these circumstances, my family and I ask that our valued customers, friends, families and business owners support and help us in paying it forward. 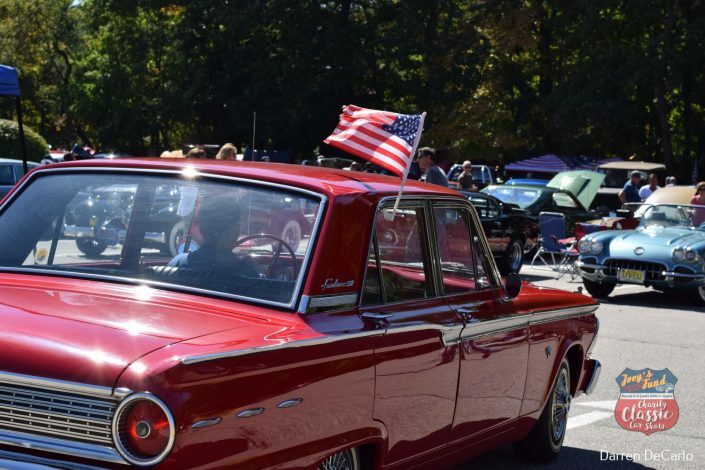 It is my hope that with your support and the proceeds from the car show events, that Joey’s Fund this year in conjunction with Sloan Kettering Memorial Cancer Center, that we will be able to donate to a local children’s hospital to aid them through these terribly tough times. 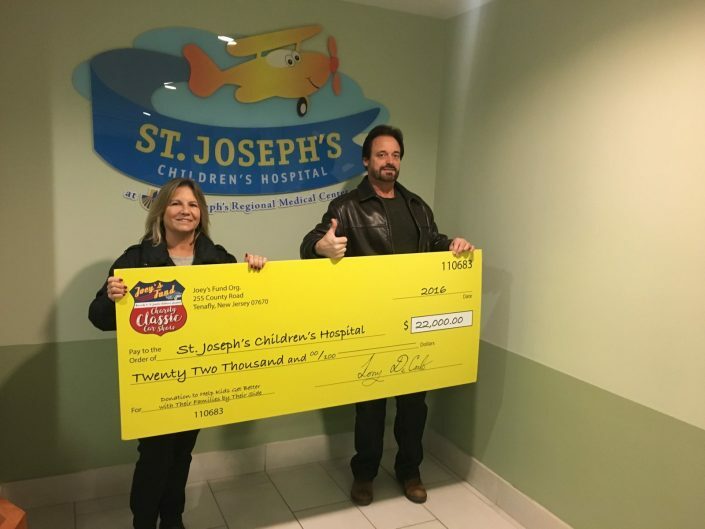 2018: Joey’s Fund donated $10,000.00 to St. Mary’s Church to renovate housing for special needs adults and $5,000.00 to the Pediatric and Young Adult Care at Sloan Kettering Memorial Cancer Center Donations of any amount are welcomed! Helping kids get better with their families by their side. Make a donation today!